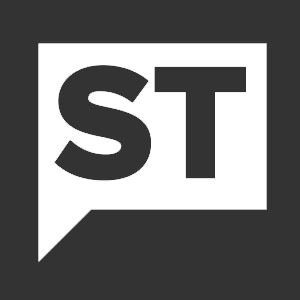 Starting in the second segment of his latest interview with Jim Goddard, INK CEO Ted Dixon gives an overview of the outlook for Canadian stocks drawing on the most recent Insights weekly newsletter. Broadly speaking, insiders remain upbeat about their prospects going forward, particularly in the oil patch where stocks have undergone a correction to reflect commodity pricing troubles. He does, however, highlight a warning sign. 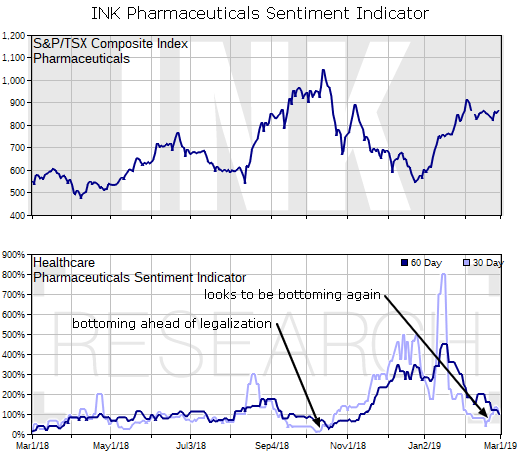 The cannabis-stock heavy Pharmaceuticals sector may be in store for some headwinds as the INK 30-day sentiment indicator is showing bearish signs. It recently approached the levels seen when it bottomed just prior to legalization back in October. He advises taking some profits and trimming exposure to the group, particularly for those companies with weaker fundamentals and poor INK Edge outlook rankings, including some of the bigger pot growers where potential risks may not have been fully priced in. In the final segment, he notes that the case for speculators to return to the junior gold space is slowly building. Based on insider trends, he is optimistic for the group's prospects over the next year or two, helped along the way by expanding US government debt issuance.